There are many reasons that you should hire packers and movers Howrah while relocating. By hiring Agarwal Real Packers & Movers you can kiss all your shifting woes a goodbye. We take care of everything from packing to re-assembly. You can just sit back and relax without a care in the world. Agarwal movers and packers Howrah trains its employees every 6 month to be aware of the latest industry updates and to be as courteous and polite to you as possible. You would find that our quality of service is unmatched in the industry of movers and packers Howrah. You can hire Agarwal packers and movers Howrah to pack and transport your goods to any place within India. Recently we have started sending shipments internationally to Unites States as well. With us as your packers and movers in Howrah, you do not have to worry about safety. 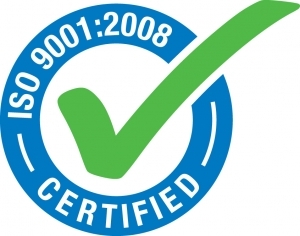 Agarwal Real Packers & Movers is an ISO certified company. We ensure to be as reliable as possible towards our customers. You can trust us to take care of your items and goods as they were our own. You would also find us to be unmatched in terms of pricing as well. We offer the best rates in the industry which are far better than any of our competition. Once you hire us we also offer you a pre-shipment quote. You can be rest assured that the final bill amount shall be the same. There are many fraudulent players in the market who say one thing and do just the other. You might have come across real horror stories of accidents and damaged goods. With Agarwal Real Packers & Movers you can live stress free by placing your trust in us. We pride ourselves in providing shifters with a relaxed and easy relocation experience.